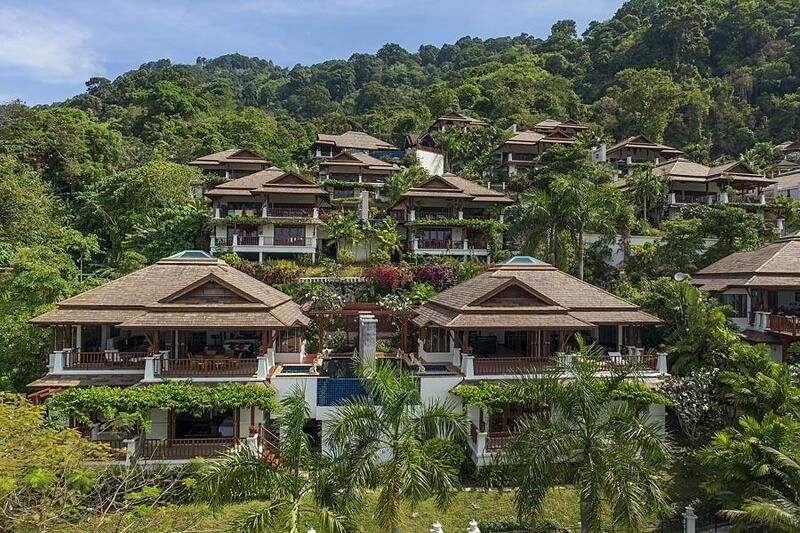 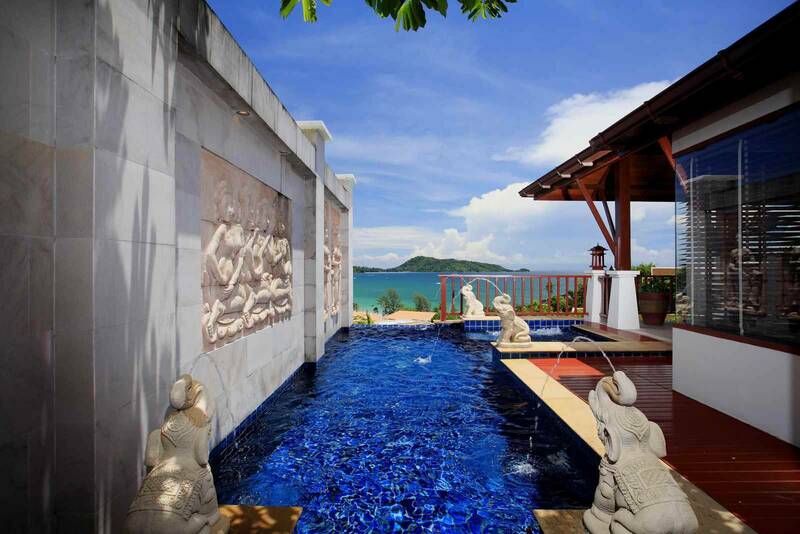 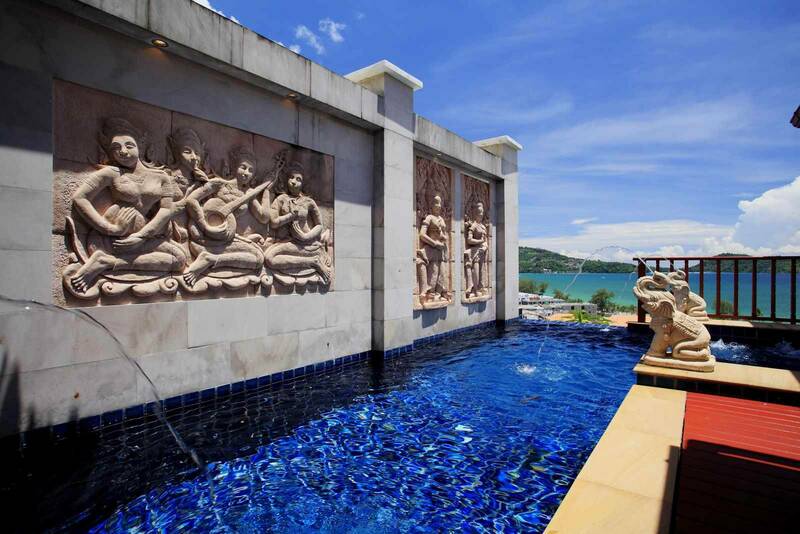 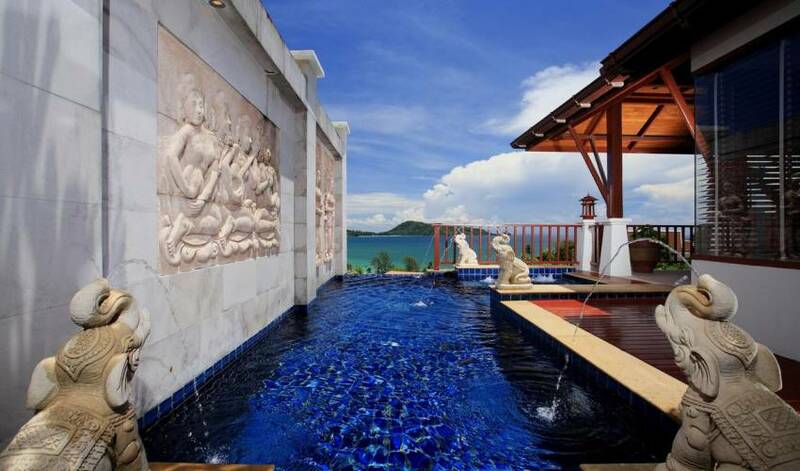 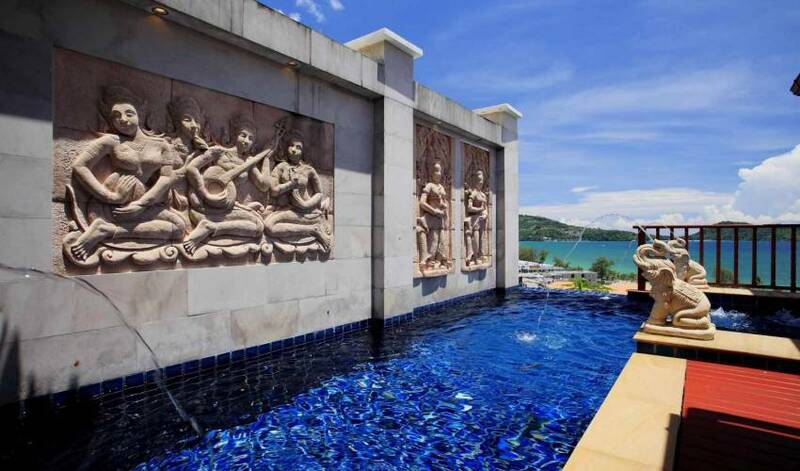 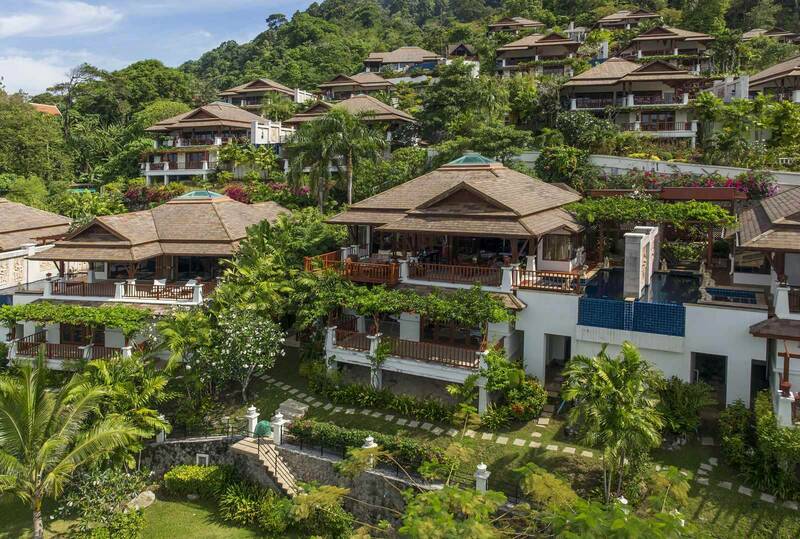 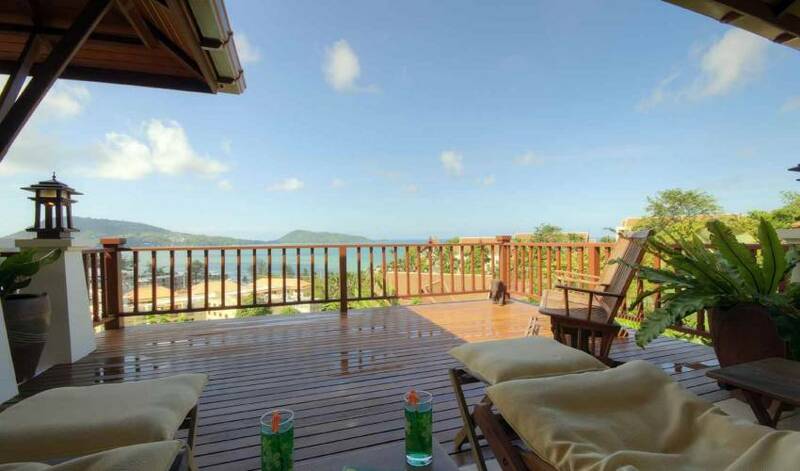 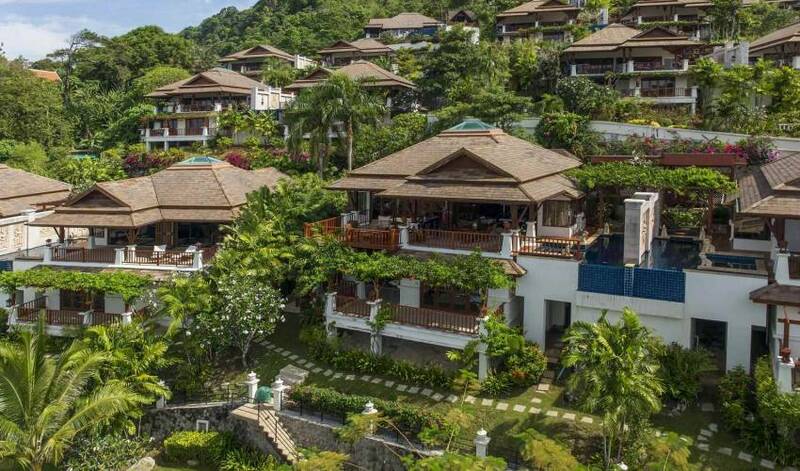 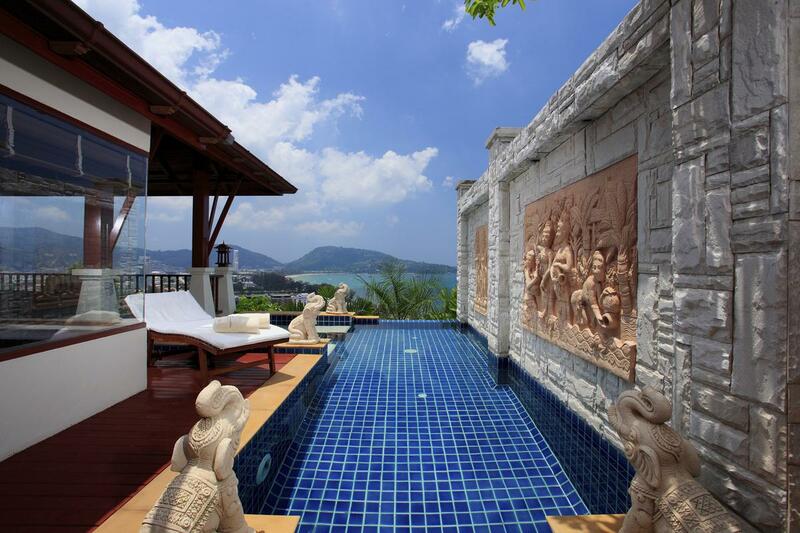 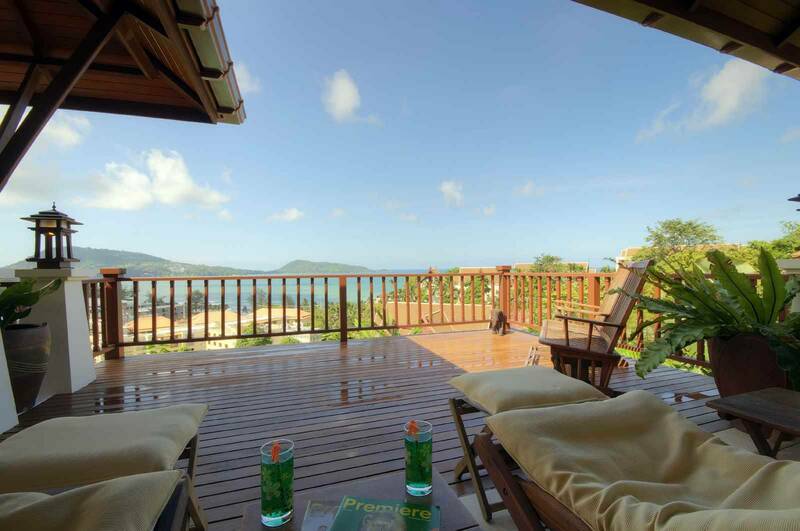 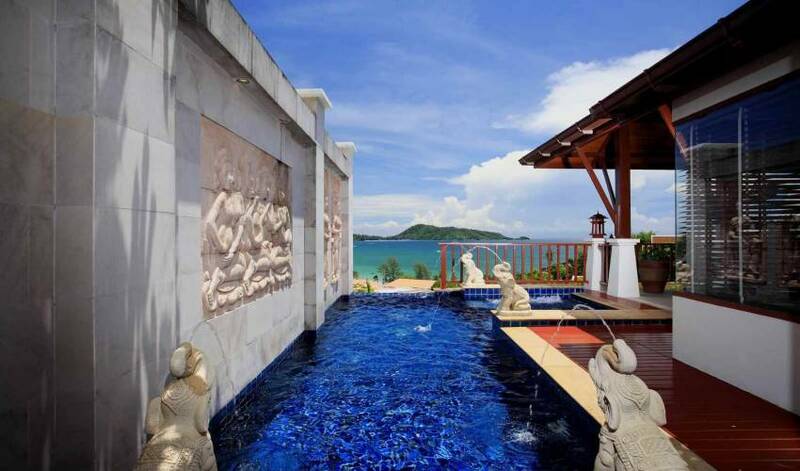 This three bedroom luxury villa is located on the lower terraces of the Estate and comes with stunning, elevated views over Patong and the bay. 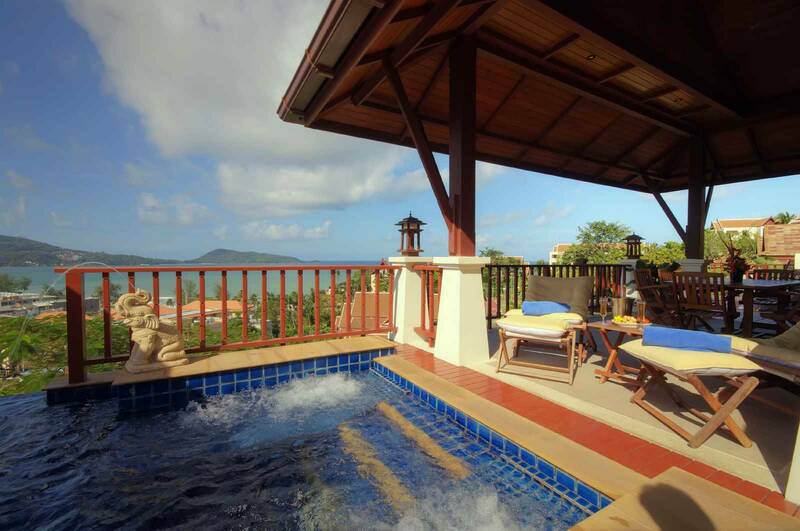 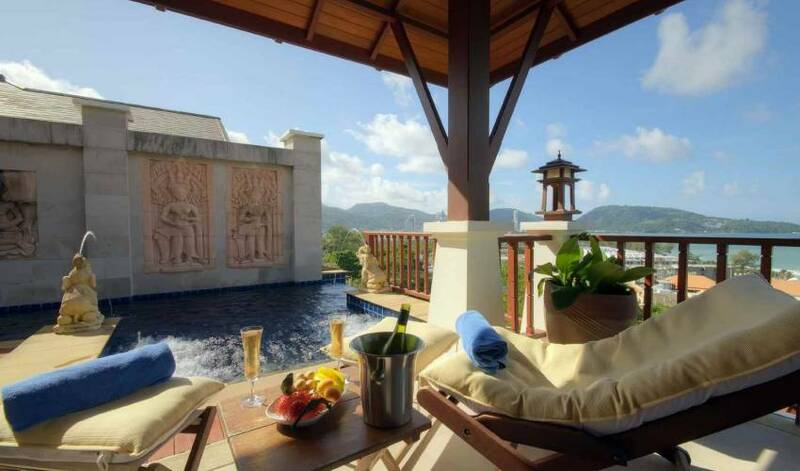 The stylish open plan living opens out onto a spacious deck and terrace area alongside a delightful plunge pool. 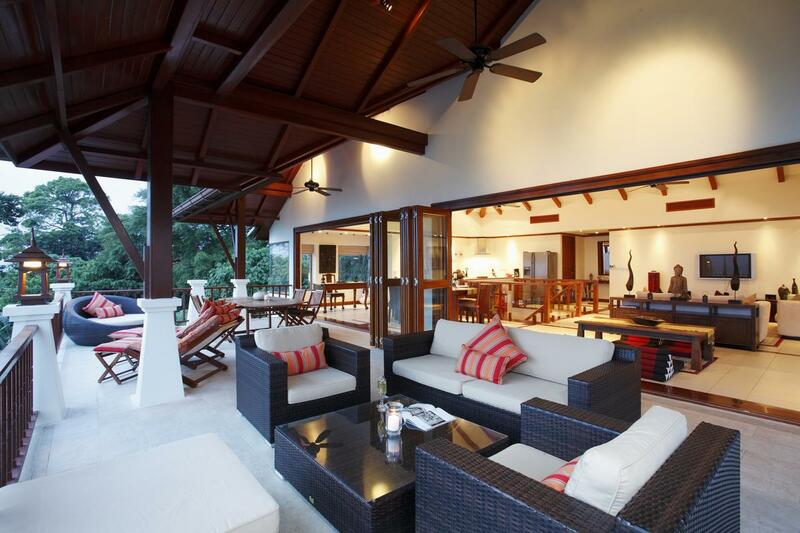 A well-equipped kitchen is provided along with indoor and outdoor dining and comfortable seating areas. 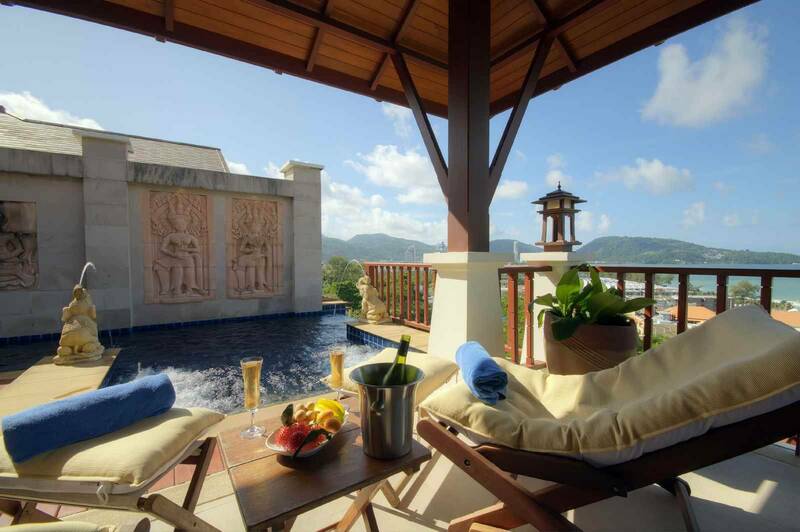 The master bedroom suite opens out to a private terrace and comes with a king size bed and luxury ensuite bathroom with a spa bath. 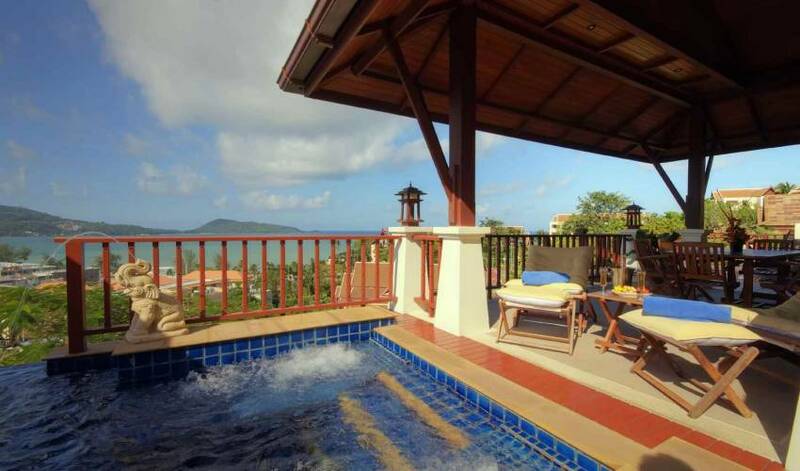 In the second bedroom, there are twin beds which can be made into one king size bed and the other bedroom has bunk beds. 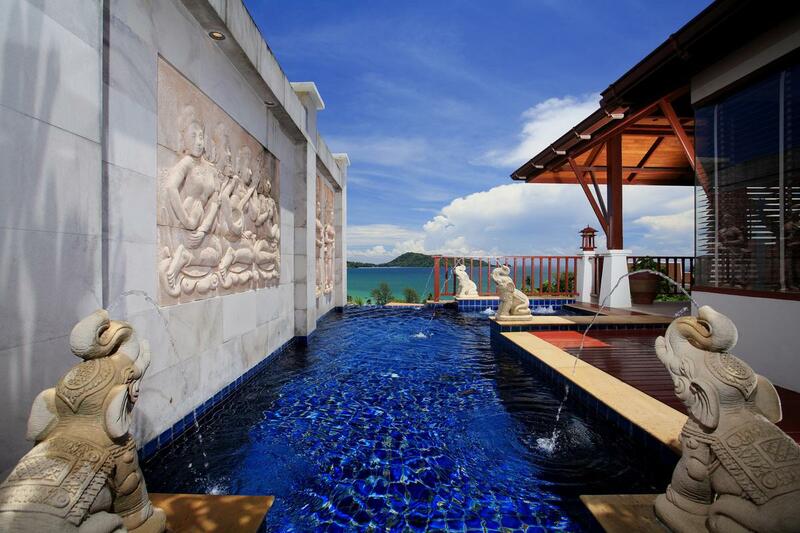 These bedrooms share the second bathroom.